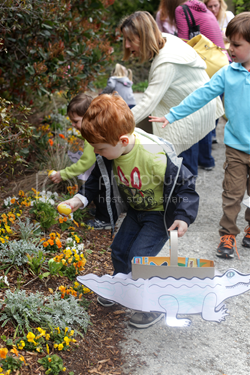 The annual Alligator Egg Hunt at the North Carolina Aquarium at Fort Fisher in Kure Beach is recommended for ages 3 to 10, and offers kids a chance to meet a live baby alligator, make an alligator egg basket, and hunt for candy-filled eggs. HOURS: 10am and 1pm. REGISTER ONLINE by April 17.